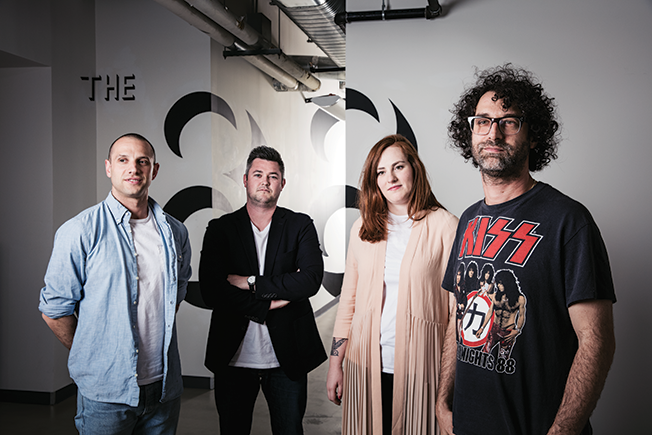 For brands like Men's Wearhouse, adidas Originals and St-Germain elderflower liqueur, social media agency The 88 may not be the fountain of youth, but it knows where to find it. Initially an Instagram agency, The 88 pivoted over the past year to focus on Snapchat campaigns. But its preternatural social media prowess doesn't come from professional insight. "The experience we have first is always personal," said founder and creative director Harry Bernstein. "It's not like we have case studies and say, 'Here are five Snapchat campaigns that can prove the ROI.'" And brands seem to be OK with that. For Men's Wearhouse, Bernstein and his team capitalized on viral proposals—think flash mob meets "promposal"—via Gen Z platform du jour Snapchat. By geofencing nearly every high school in America (around 18,000), Men's Wearhouse created a filter that was used nearly a million times and viewed an impressive 18 million times.